Categories: Musings | Tags: astilbe, butterfly milkweed, clematis, coreopsis, gomphrena, oakleaf hydrangea, purple coneflower, shasta daisy, St. Louis, Stella De Oro daylily, threadlead coreopsis, Wave petunia | Permalink. 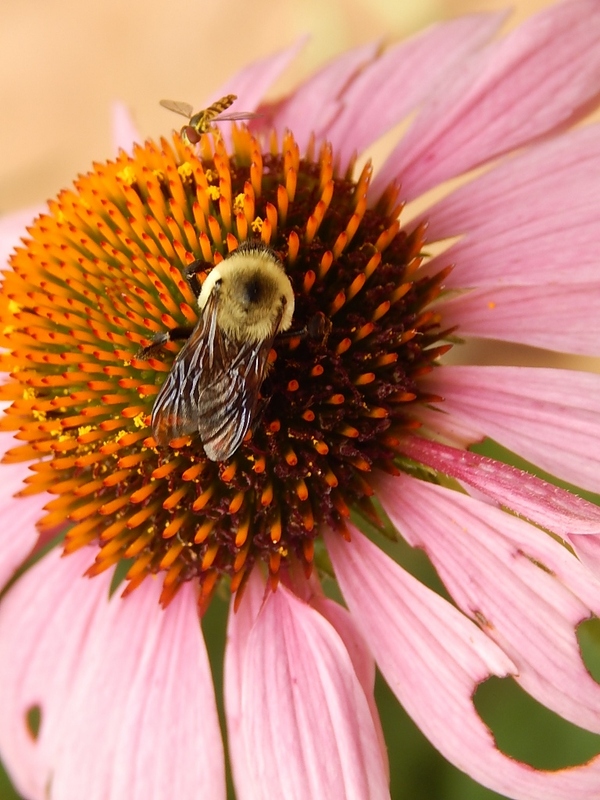 Categories: Musings | Tags: echinacea, kobold gayfeather, liatris spicata, native flowers, pollinators, purple coneflower | Permalink. 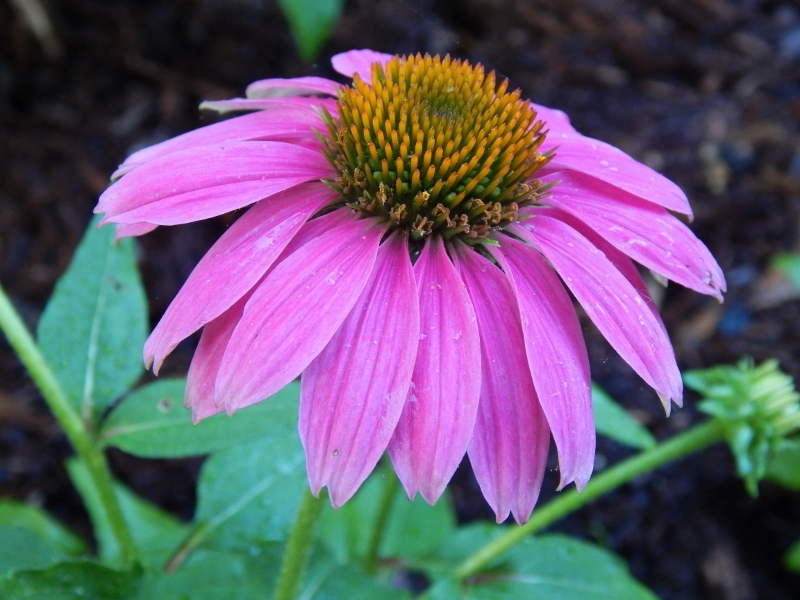 Echinacea purpurea “PowWow Wild Berry” coneflower. Blanket flower is a summer-long bloomer. 2. Gaillardia “Arizona Red Shades.” New to the garden this season, this blanket flower seems very happy and has put out bloom after bloom. 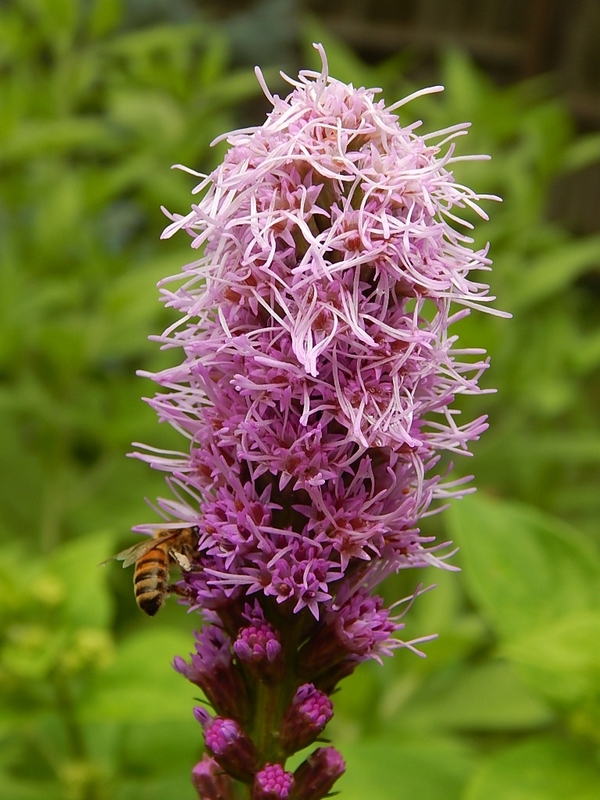 It is a short, compact plant that rewards with blooms all season long–from early summer to early fall. And talk about carefee. 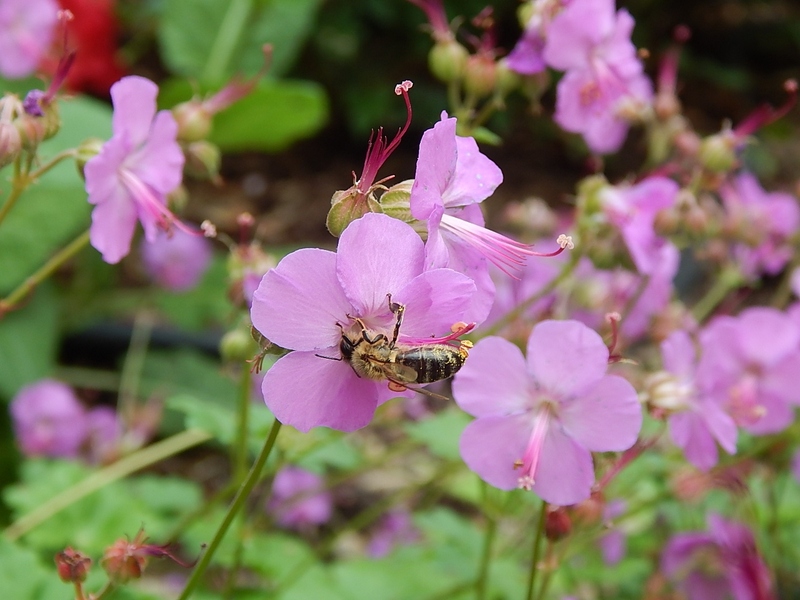 It performs best in poor, well drained soil (check! ), without fertilizer (check!) and in the sun (check!). 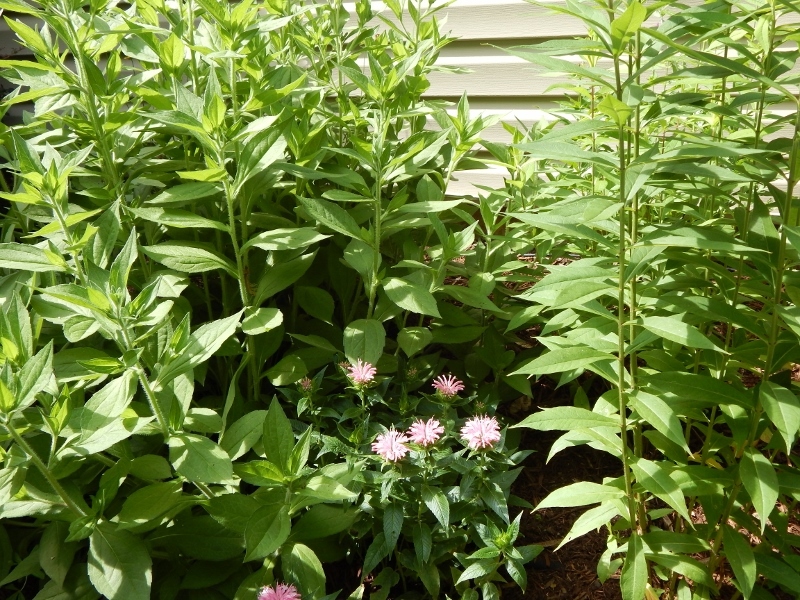 The young beebalm “Pardon My Pink” is dwarfed by black-eyed Susan on the left and tall garden phlox on the right. 3. Rudbeckia “Black-eye Susan.” I have divided the two plants I purchased three years ago at the Webster Groves Women’s Garden Club plant sale and increased the stands of “Susans” in the yard. This is one tough native that likes it hot and loves, loves, loves the sun. Not yet blooming, I look forward to vases full of these sunny flowers. A nice color combination of yellow coreopsis and orange butterfly milkweed. Growing behind the milkweed is canna, a new addition this year to the fence garden bed. 4. Butterfly milkweed. 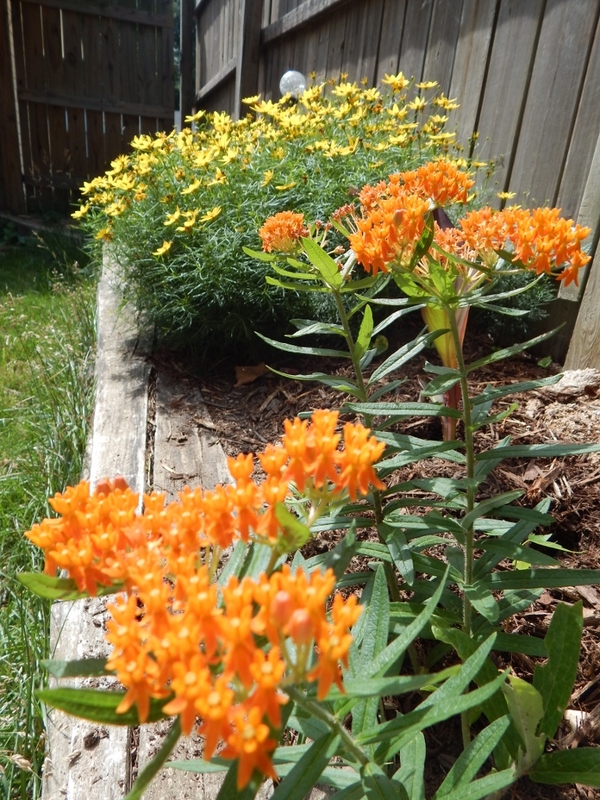 Another native, the orange blooms on this plant attract butterflies, which are fun to watch flit about the garden. I have it placed next to coreopsis and in front of canna (new to the garden this year). The Russian sage nearly glows in the afternoon sun. 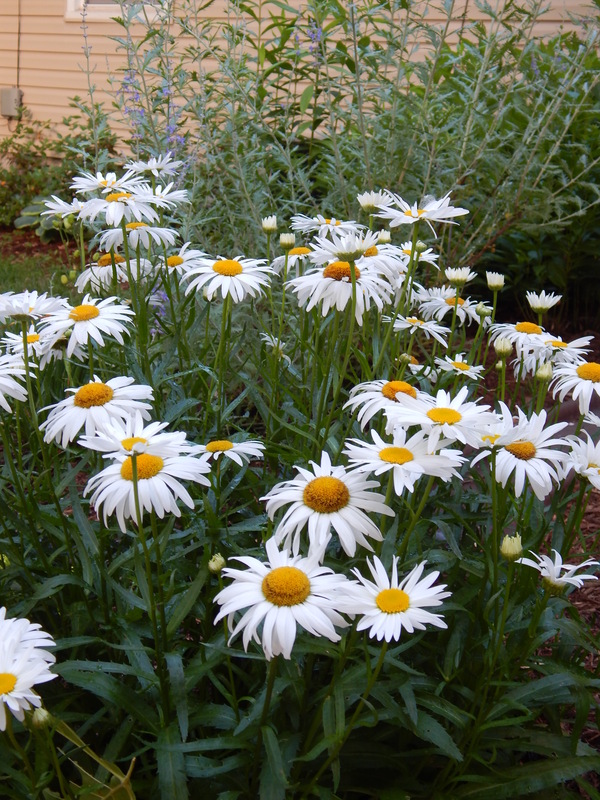 And the Shasta daisy seems to be well adapted to this spot which receives lots of sun. 5. Perovskia atriplicifolia.The wispy, powdery-hued wands of Russian sage cool off the heat but hold up well. The tall Russian sage is on the verge of blooming. The specimen shown above anchors the corner of this bed which faces South and East. The East view is what is showing here. Planted nearby are tall garden phlox and hot pink roses. 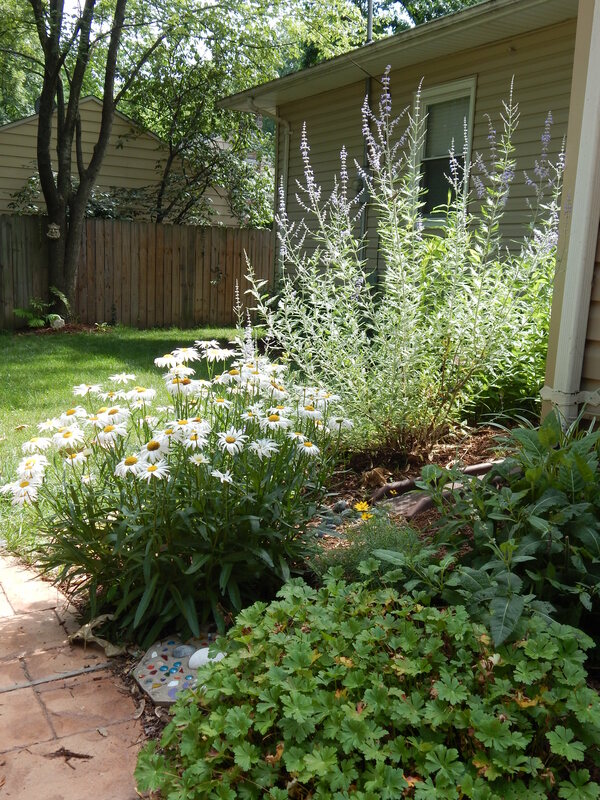 A pretty combination of sunny “Amelia” Shasta daisy, a rugged sun lover, and Russian sage. Categories: Musings | Tags: beebalm, black-eye susan, blanket flower, butterfly milkweed, Echinacea purpurea, gaillardia, monarda, purple coneflower, roses, Rudbeckia, Russian sage, shasta daisy, tall garden phlox | Permalink.